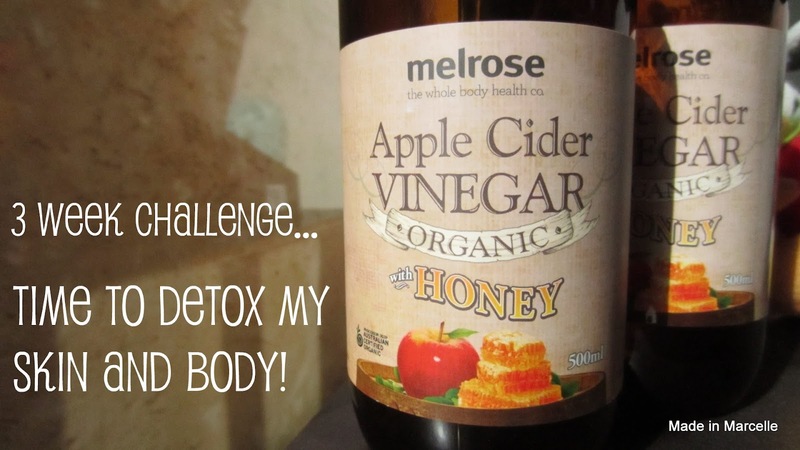 Like me, you probably have read raves and benefits of drinking Apple Cider Vinegar (ACV) to detox your body and cleanse your skin. But just the thought of drinking sour vinegar made me cringe. My skin has been very dry around the cheeks recently and I needed a cure. And our university ball was fast approaching. So what choice did I have? I decided to give ACV a go until the ball - which was in just under 3 weeks! *yikes* So this is my journey with the much talked about Apple Cider Vinegar. How the hell do I drink this horrid-looking yellow liquid? It smells so bad. Ok, let's try mixing one tablespoon of ACV in a glass of cold water. Here it goes...*gulp gulp* ...hmm it tastes like diluted lemon juice but it's drinkable. I'll pre-mix it with four tablespoons of ACV and 500ml water to drink throughout the day. I've managed to finish 500ml of my pre-mixed ACV cocktail (yes, I'm calling it a cocktail). Not bad. And it doesn't taste as revolting as I imagined. I noticed a very ripe and inflammed pimple trying to reveal itself on my face, but hopefully ACV will work its magic overnight. First thing I noticed is that my pimple had become much smaller and less inflammed compared to yesterday. Although it could be due to the fact that I applied a thick layer of Benzac 10% Acne Gel before going to bed. I made another cocktail and have been drinking it throughout the day whenever I need to quench my thirst. And as a result I finished it in half a day! I think I kinda crave it a little to be honest, which is weird for me since I don't like sour food or drinks. By the third day, drinking 500ml of the ACV mix became a normal routine. Better yet I felt as though it wasn't enough for one day. I am craving for more!! Today at work one of my co-workers asked me if I had a new boyfriend. I asked why and she said I was glowing. Say whhhhat? I couldn't stop laughing out of surprise and happiness. Maybe the effects of ACV is starting to kick in? So it has been one whole week drinking at least 500ml of ACV mix a day and so far so good! I have had some new zits appear here and there on my face but it would settle down by the next day. And this is unusual for me because zits or pimples have a tendency to linger on my skin no matter what I do. I ran out of ACV this morning!! *panic panic* I really didn't think I would finish the whole bottle in 10 days. I'm going to try out a different brand this time. Finally ended up restocking on my ACV. Why did I repurchase them so late you ask? Well I went to both Woolies and Chemist Warehouse to get them but both times it slipped my mind. Ahh typical me. Started off the day with a glass of water with ACV. I feel like the ratio of ACV to water is ever increasing. On the first day I added two tablespoons to one glass of water but now I add about double that. It's very bizarre but now, I actually enjoy the taste. And I'm loving how I don't break out as often as I use to. Only five days left now until Pharmball!! I am now drinking at least 1L of the ACV mix per day. Today I finished 2L! I rarely go through 2L of plain water in a day so this is great. 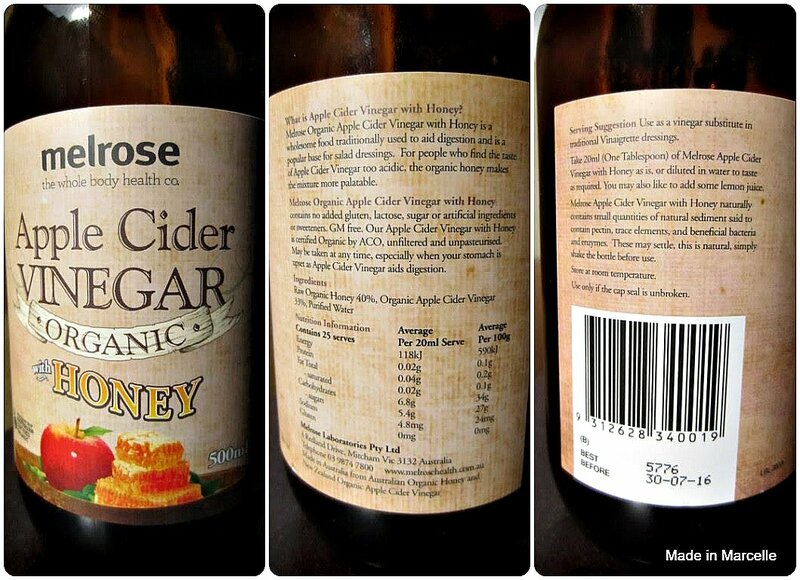 Tried out another brand of ACV from Macro and it doesn't taste as nice as the Melrose. I'm gonna stick to the ACV + honey formula from Melrose. And I've noticed a new zit on my chin!! Pharmball is only two days away!!! MUST GET RID OF IT. 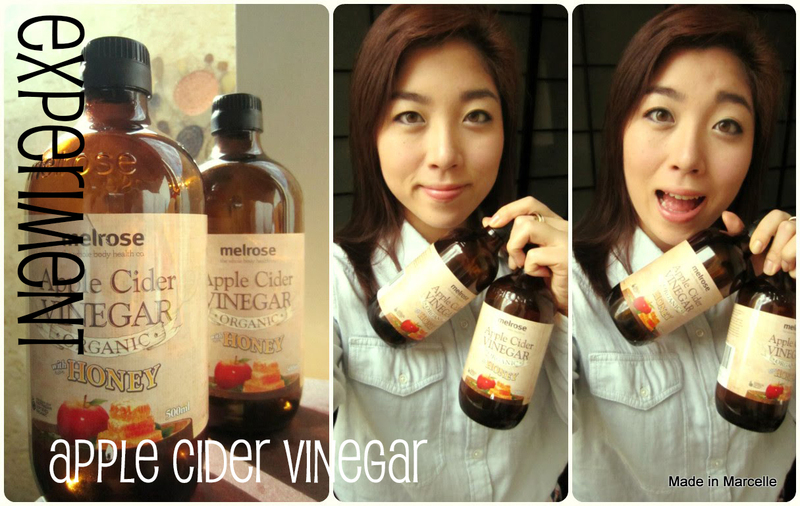 ACV, work your magic! Finally the day of Pharmball and all my zits have settled. Thank goodness. The day after Pharmball and I've only slept for 3 hours. Now off to work from 9 to 6. Somehow I managed to survive the day but all I could think of was sleep. I swear I could hear my brain shouting "give me a break woman!!" Even though I did not have any makeup on my face whatsoever, my co-worker thought I was wearing BB Cream or foundation and complimented me on having nice skin. Is this the magic of ACV? I think so. And the experiment is over! It is now Day 21 aka Father's day aka first day of Spring. Overall, drinking the Apple Cider Vinegar mixture everyday did not achieve any dramatic results for my skin or body but there have been subtle improvements in terms of skin complexion, hydration, and recovery time for breakouts. It didn't have any effect in terms of my oily T-zones or weight loss *sigh*. I realised that I would only be able to drink the Melrose ACV with Honey mixture but not the pure type, as the pure ACV tastes horrible. It is just way too sour. Because the ACV is very acidic, I avoid brushing my teeth right after drinking the mixture otherwise I would damage my teeth. Although this experiment is over, I am going to continue drinking the ACV mixture because it helps me to drink at least a litre or two of water a day. Maybe that's the reason why my skin has been looking better? Who knows. If you've come this far, thanks for reading! Hope you guys like this sort of reviews. If you want more, let us know what we should try next! Awesome post! I'm also a fan of ACV, really enjoyed reading this, more guinea pig posts please!! I like Bragg Organic ACV, it's pretty full on though.. Raw and unfiltered so there are little floaty bits at the bottom and it's cloudy. It took me quite some time to get use to it but like yours it can be combined with honey to ease the taste a little. Not sure if that's available in Australia except from online :( but yea I wouldn't be able to drink pure ACV without any honey in it! Wow thats great! I apply apple cider mixed with green tea as a toner sometimes but I havent noticed anything. I dont think I have enough will power to include something like this into my everyday life! Well done! Also, you mentioned you use benzac ac...do you find that works?? It took me a while to incorporate it into my daily life :) The Benzac gel does work to shrink your pimples if you apply daily for a couple of days. They dry out any acnes that you have, but the side effect is that it may dry out the surrounding skin. So you have to make sure you moisturise afterwards. I hope that helps! Let me know if you have more questions!